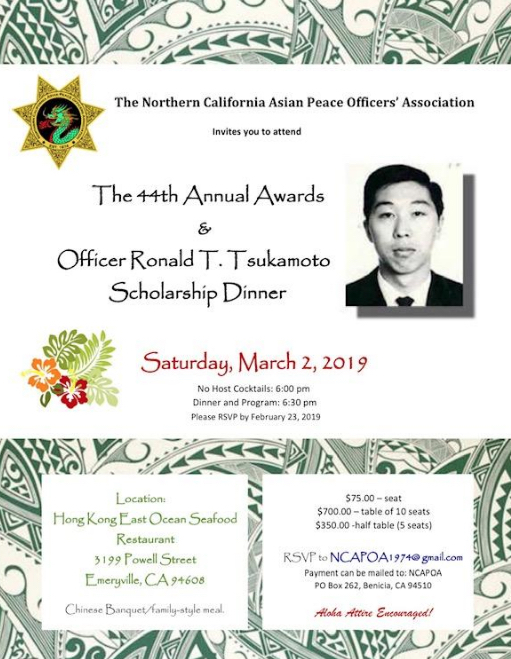 Welcome to the official online site of the Northern California Asian Peace Officers Association, or NCAPOA! While most of the content on this site is restricted to members only, we encourage you to peruse our site to get a better understanding and appreciation of the contributions our members make to the community for the betterment of all. To join the NCAPOA, click on the membership link to see if you qualify, or you can also support us by making a donation.